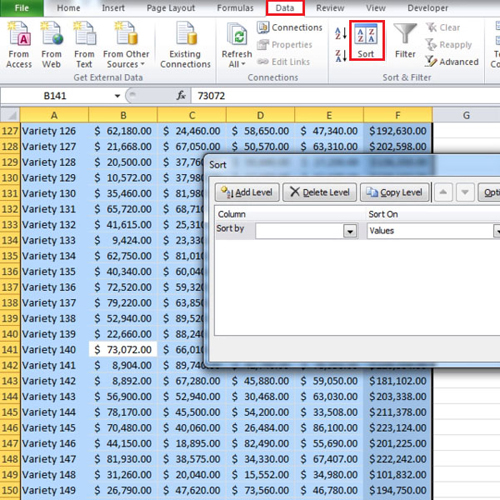 To select in Excel is fairly easy and not at all time consuming if you know your shortcuts. Data in Excel sometimes constitutes of sheets that are large and cannot be viewed in the first glance. However, as mentioned you can select your current region, complete data and move around the region corners in Microsoft Excel by pressing a few keys on the keyboard. To understand how to do this, follow the tutorial given below. Suppose you open your Excel file after a long time or someone sent you an Excel file and you do not know if there are any empty rows or columns in it. So when you go to the “data” tab and click on the “sort” option, you are not sure whether all of the data is selected or not. In this tutorial, we will insert an empty row and then click on the “sort” button. You will see that all the data does not get selected. One option may be to zoom out but that’s not possible every time since the data might be a little too much. 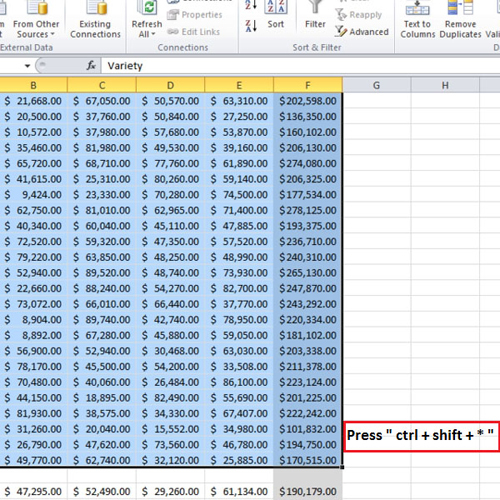 However, to select the whole data in Excel press “ctrl + shift + *” on your keyboard. Once you do, you will see that all the contiguous data around the active cell gets highlighted. If you want to see how big the selection is, press “ctrl + .” a few times. The active cell right now is “a1” which we can see at the top left corner. If we press the command again, cell “f1” becomes the active cell and then cell “f151” and then “a151”. By pressing “ctrl + .”, we can quickly confirm the starting and ending points of this range. In other words, we can easily find out the corners of this range. 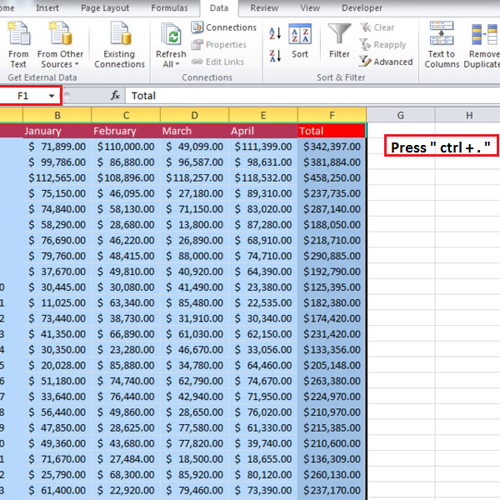 As explained in the tutorial, to select in Excel is fairly easy if you know the correct shortcuts.